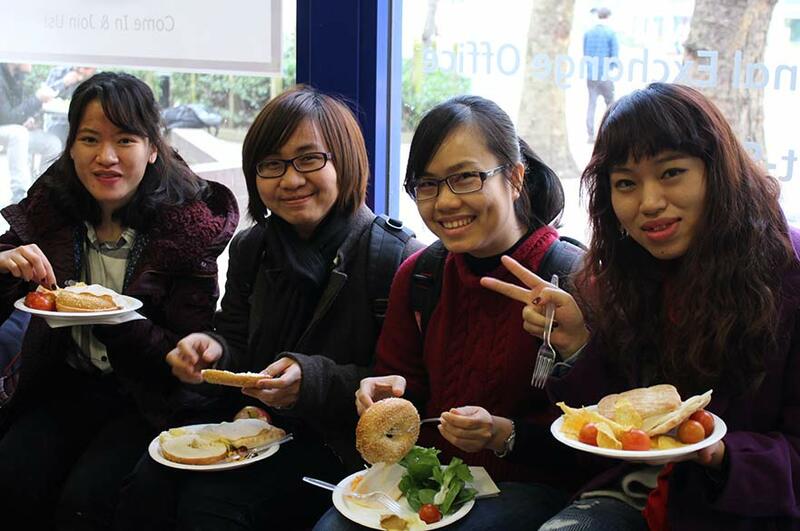 Studying here is an amazing opportunity to make friends from around the world and explore other cultures. We want you to learn and experience as much outside the classroom as you do in it. Our Global Lounges are a great place to start. You can meet new people, practise your language skills and discover opportunities open to you. You can even get a free lunch here every week! You will find our warm and welcoming global lounges on the City and Clifton campuses. Make sure to visit us when you arrive. It’s the next step in settling in to your new life here. You’ll be welcome any time – you don’t need an appointment. 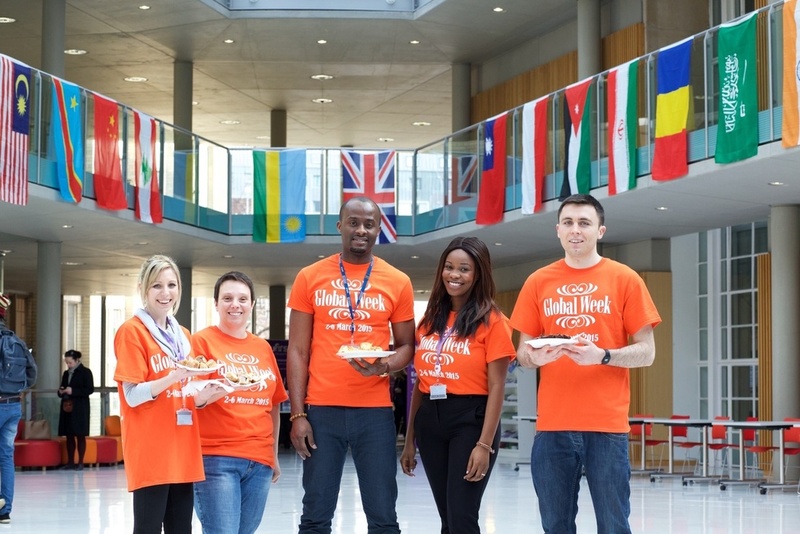 Our Global Lounge teams organise weekly events around campus. We also hold special events throughout the year, such as our Global Week. We’ve listed a few of these below. And you’ll be able to organise your own events too – just email us with your ideas! A free lunch for all our students every week during term time – a great chance to relax, eat and make new friends. Language practice sessions in a relaxed setting with our students and staff. *These take place during term time. 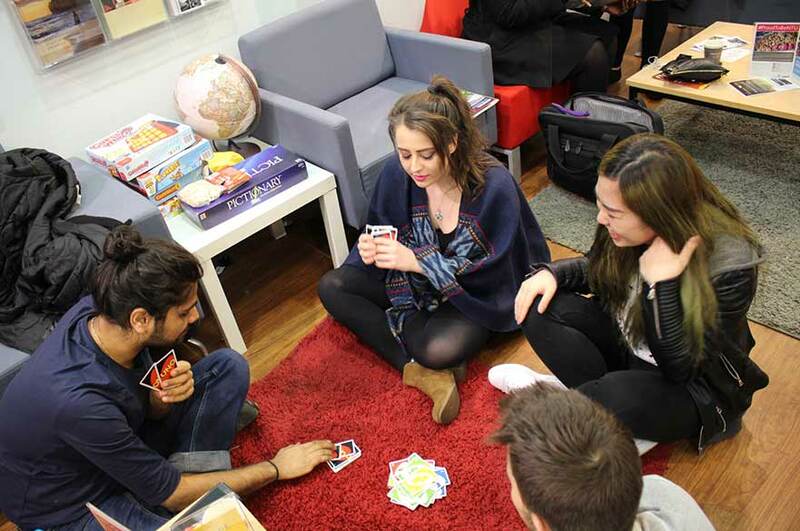 A fun afternoon of board games – a great way to relax and meet new people. Relax with some popcorn, new friends and a good film. Come along, discover new books and share with others books you’ve enjoyed – a great way to relax and make new friends. Every year we celebrate the amazing diversity at NTU with Global Week. This five-day festival of art, culture, music, food and people shows our pride in our international community. There’s loads of exciting events to get involved with. Global Week takes place 25 February – 1 March 2019. Every year we celebrate the amazing diversity at NTU with Global Week. This five-day festival of art, culture, music, food and people shows our pride in our international community. Coming to NTU isn’t just about studying. You’ll make new friends, try new things and do all the things you already love too. And Nottingham Trent Students’ Union (NTSU) is here to help you with all that and more. NTSU runs student social societies and arranges trips to famous places in the UK. 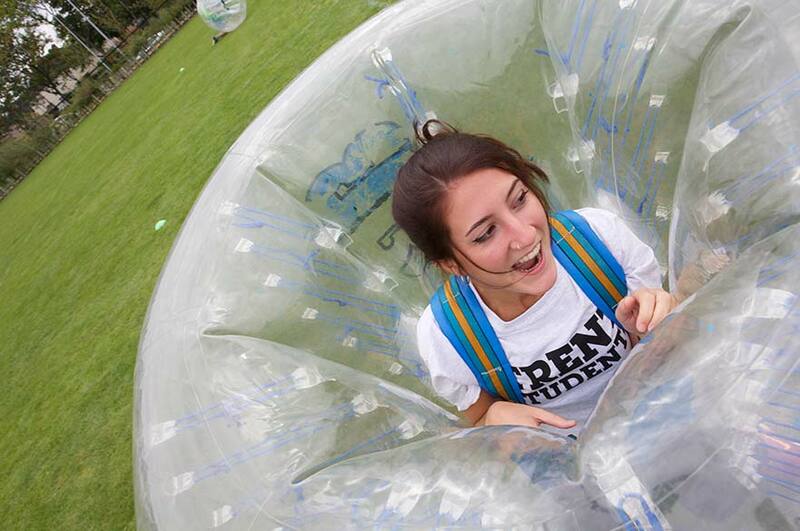 They also help to organise Welcome Week and sports and social activities at the University. You can join the Students’ Union – it’s the perfect place to meet new people and get lots of support with settling in to Nottingham and studying at NTU. When you join you’ll get a Students’ Union card. This will get you discounts at all sorts of shops, and restaurants, as well as cheaper travel around the city. 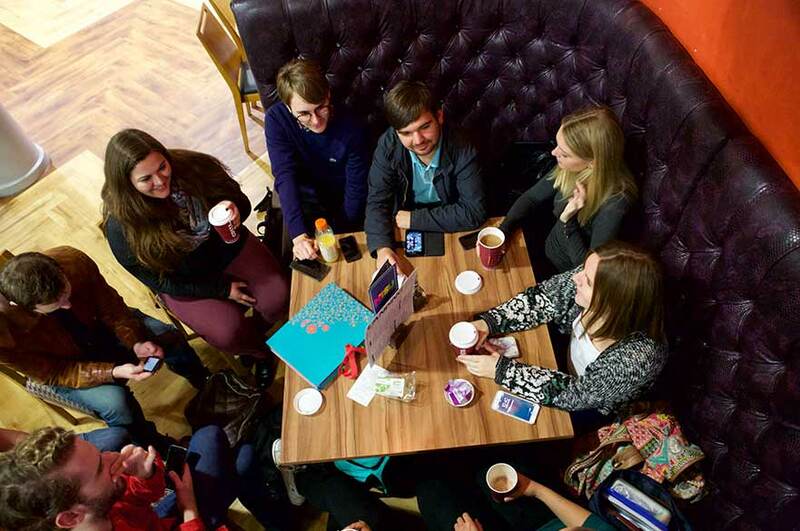 Our City, Clifton and Brackenhurst Students’ Unions all offer a great place to hang out – day or night! The Students’ Union also represents you – they are there to make sure your voice is heard and international students are well represented. 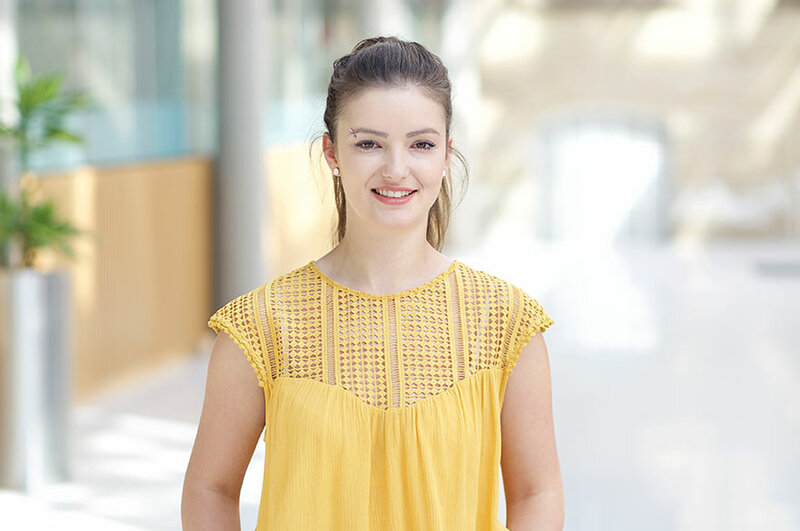 “Hi, I’m here to represent you in regard to any academic issues at the University, like free language classes for international students for example. As a student, when I got here I quickly learned that by joining societies such as the volleyball team, I could meet lots of interesting people. It helped me make loads of friends in a very short time. 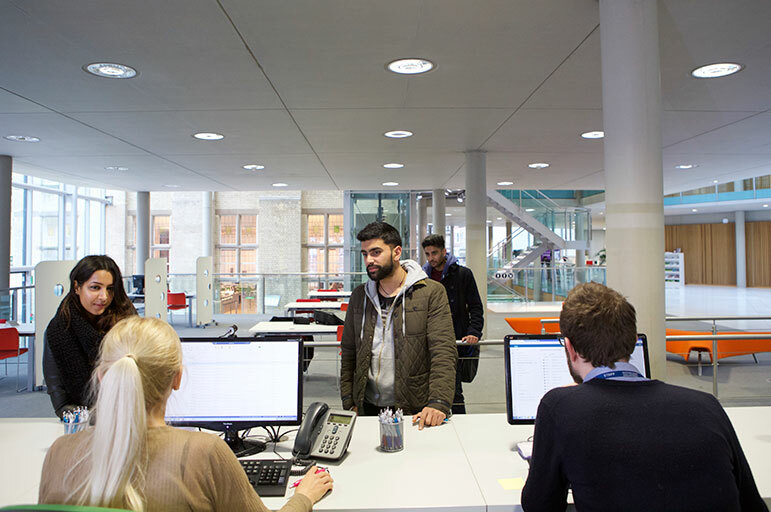 Every university in the UK has a student union, offering services and social activities to students. It's run by students, for students. There are over 80 social and sports clubs and societies run by the NTSU for you to get involved in. You’re sure to find something you’re interested in. But if not, you can always start your own! You can see the full range of clubs and societies you can join on the NTSU website. You can also find information on how to start your own, and details of upcoming events and the support we have available to you. If you are starting at NTU in September, this is a big part of setting into life here. Welcome Week is a week-long programme of activities and events designed to help you meet new people and feel at home here. There’s all sorts on offer. We even run a series of welcome activities just for our international students as many like you may be arriving in Nottingham before Welcome Week begins. Keep an eye on the Welcome Week website for details of 2018’s events. Details will be released closer to the time. The winter equivalent of Welcome Week for our January starters. Just as fun and packed with activities as Welcome Week, but for those starting postgraduate courses later in the year. Find out more on our Winter Welcome page. Remember that it is normal to feel homesick sometimes. We know that starting a new life at university in a new country can be difficult and we’re here to help. If you’re finding it hard and want someone to talk to please read our further advice or email our international student support service team at int.support@ntu.ac.uk.